How Much Did The Met Make Off The Alexander McQueen Show? The "Alexander McQueen: Savage Beauty" show at the Metropolitan Museum of Art closed on Sunday having drawn over 650,000 visitors, and in the process, becoming one of the ten most popular shows in the museum's 141-year history. Measured in attendance, McQueen is now up there with Tutankhamun, the Mona Lisa, and Picasso. People waited in lines for upwards of five hours just to get in to see dresses, including those pictured above in images from the exhibition catalog. "The exhibition catalogue has sold well over 100,000 copies to date through the Met's book stores and website"
Let's do some back-of-the-envelope mathematics. At least 23,000 people became members; the most basic Met membership available to anyone who lives within 200 miles of New York City costs $70. Let's assume conservatively that nobody sprang for any of the slightly more expensive membership levels that the Met offers (which carry more privileges). That's $1.61 million. At least 17,000 people paid $50 each to enter on a monday. That's $850,000. Subtracting those who became members while waiting in line and those who paid extra to view the show on a Monday leaves 611,509 regular visitors. Now, while the suggested entry fee for an adult at the Met is $25, entry to the museum is technically by donation, meaning you can give 'em $0.50 at the door if you so choose. And doubtless a significant number of visitors did choose to enter for a nominal fee, or were already museum members. And probably some of those 611,509 visitors fall into one of the other categories that confer free entry: perhaps they were children under 12, or perhaps they were art history students or museum professionals with membership in the American Association of Museums (AAM members get in free to virtually every museum in the U.S.) On the other hand, some visitors probably paid the "suggested donation" for a student ($12) or a senior ($17). The math for this part gets a tad fuzzy, but let's estimate conservatively that half of the 611,509 non-member-becoming, non-extra-paying visitors to "Alexander McQueen: Savage Beauty" paid nothing at all, and half paid the full $25 donation the Met suggests for an adult. That's $7,643,862. Those 100,000 copies of the exhibition catalog cost $45 apiece. That's $4.5 million. The Met also brags that "McQueen merchandise in the Met Shops, including armadillo shoe ornaments, crystal skull paperweights, and tartan purses, sold out several times and were repeatedly reordered." Those trinkets weren't cheap — the very popular miniature McQueen "Armadillo" shoes cost $25 a pop — but the museum doesn't provide any exact numbers on how many were sold. Fine. Let's be conservative again, and not factor them in at all. Zero dollars from all other McQueen merchandise. 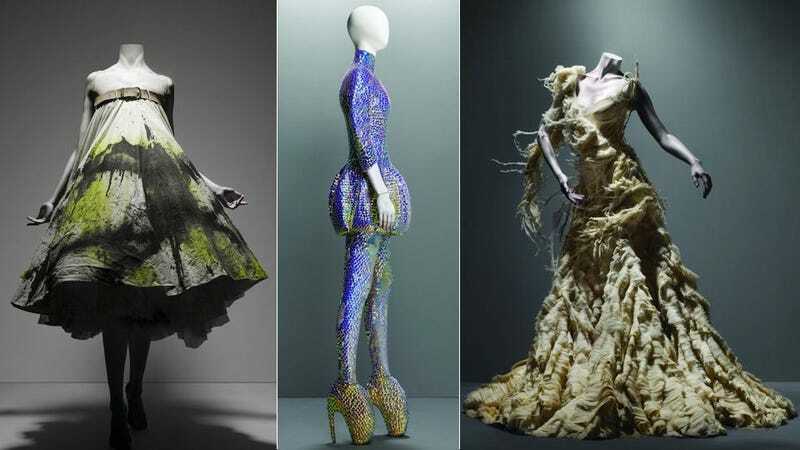 The Metropolitan Museum of Art still made a minimum $14,603,862 in revenue from its Alexander McQueen retrospective. That $14.6 million figure is, interestingly, significantly more than the museum made from its flagship fundraising event of the year: the Met Ball, organized by Anna Wintour, which unveils the annual Costume Institute sumer show. This year, the Vogue editor's gala event raised $10 million.